The Dell S2317HWi with a built-in Qi charger is $120 at B&H Photo today. If there’s one thing we hate about our desks, it’s all the cords. 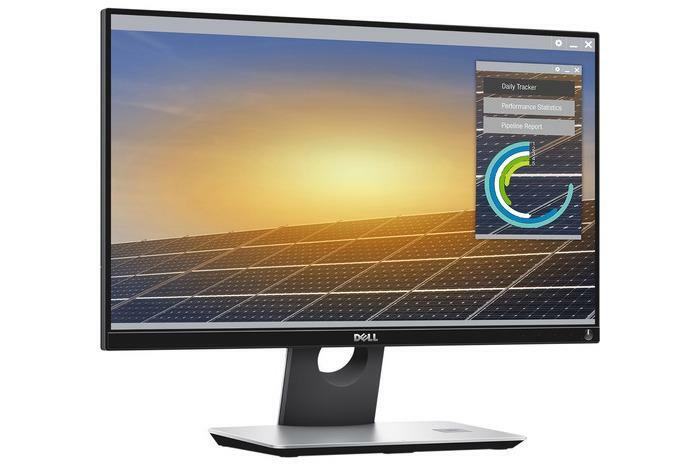 The Dell S2317HWi alleviates that problem with a pair of wireless solutions: The base of the monitor has a built-in wireless Qi charger and the monitor features wireless connectivity for supported laptops and phones. And today, you can grab one at B&H Photo Video for $120Remove non-product link, more than half off its list price and lower than it's ever been on Amazon. The deal ends just before midnight Eastern time on Wednesday night so act fast. This is a 23-inch 1080p monitor that comes with a Qi wireless charger built right into the monitor’s stand. For wireless connections to the monitor itself, you can use a Windows laptop or an Android device (smartphone or tablet) that supports the Miracast wireless standard. It’s also got built-in dual 3W speakers, and HDMI 1.4 if you ultimately need a wired connection, as well as a pair of USB 2.0 ports. The display itself sports a 6 millisecond response time and a 178-degree viewing angle. We haven’t reviewed this monitor ourself, but based on user reviews, the only issue is wireless connectivity with older devices and MacBooks, though any laptop that supports Miracast should work. But even if you hook it up the old-fashioned way, the built-in wireless charger is still an awesome feature and a great deal.